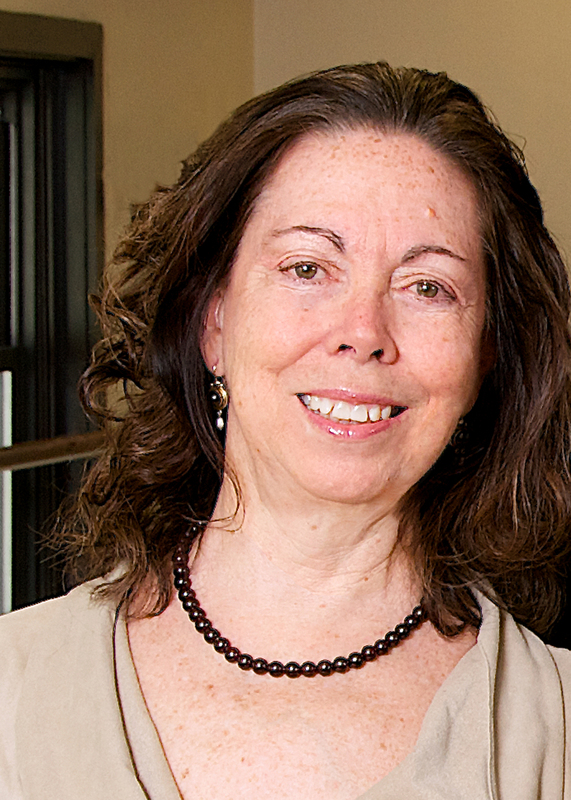 Karen Potter, Professor of Dance at Case Western, received the distinguished John S. Diekhoff Award in May of 2015 for Excellence in Graduate Mentoring. A native of Texas, Potter moved to New York in 1975 where she began her fourteen year association with the Erick Hawkins Dance Company as a dancer and teacher. During her tenure, she was featured in Mr. Hawkins’s renowned works “Classic Kite Tails” and “Meditations on Orpheus” and was privileged to assist Mr. Hawkins in costume design and construction. As a guest artist, she has performed and/or taught in Asia, Europe and throughout the United States at many festivals and conferences including the World Dance Alliance (WDA) and Congress on Research in Dance (CORD) combined conference at the Taiwan National University of the Arts in Taipei, Taiwan, Berner Tanztage in Bern, Switzerland, Aspat on the Bodrum Peninsula of Turkey, Yapi Kredi in Istanbul, Turkey, Piccolo Spoleto in Charleston, SC, the International Children’s Festival at Wolftrap Farm Park for the Performing Arts, various American College Dance Festivals in Maryland, New Jersey, Pennsylvania, and Texas, and for the American Association of Health, Physical Education, Recreation and Dance. In 1993, Ms. Potter was selected as an Arts Specialist for the United States Information Service/Agency (USIS/A) and was privileged to be the first American Modern Dancer to teach and perform for the Ankara Devlet Opera ve Balesi Modern Dans Toplulugu (MDT) of Turkey. Her reputation as a teacher has earned her return engagements at NonSolo Danza in Milano, Italy, Akar studio in Switzerland, and in Turkey, at Yildiz University and MDT. She has also taught in Brazil, at the University of Nice in France and at the Tainan Women’s College of Arts and Technology in Tainan, Taiwan. As a dancer she has enjoyed the honor of performing in works by such renowned artists as Martha Graham, Lucinda Childs, Erick Hawkins, Pascal Rioult, James Clouser, Nancy Meehan, Albert Reid, Martita Goshen and Kelly Holt and in such prestigious theaters as the Joyce Theater in New York, the historic Strand Theater in Louisiana, the Ankara Opera House in Turkey and at Wolftrap in Virginia. Her choreography has been presented in Italy, Switzerland, Taiwan and Turkey, with the Shreveport Symphony at the Strand in Louisiana, the Theater in the Woods at Wolftrap, Piccolo Spoleto, at the WDA/CORD Showcase at TNUA in Taipei, and at various venues and universities throughout the US including Texas A & M University, Long Island University, Texas State University and Louisiana State University to name a few. In New York, she was a noted teacher enjoying a ten year affiliation with the Limon Institute at DanceSpace and PeriDance, at the Dance Center of the 92nd Street Y; she also served as the Assistant to the Director of the New York International Ballet Competition for four competitions. Ms. Potter served as the Director of the Dance Program at Case Western Reserve University (CWRU) for twelve years and was appointed as the first chair of the Department of Dance in January 2011. She founded and co-directs the Dance Wellness Program and teaches choreography, technique, pedagogy and costume design and advises and mentors graduate and undergraduate students. She was selected as a Glennan Fellow and has been nominated twice for the J. Bruce Jackson Award for Excellence in Undergraduate Mentoring, for the Carl F. Wittke Award for Excellence in Undergraduate Teaching and the John S. Diekhoff Award for Excellence in Graduate Mentoring. Along with her colleagues in Dance, she received an Honorable Mention Award from Northern Ohio Live for both “Kinetic Shadows” in which she served as the assistant to the choreographer in the groundbreaking technology dance, and for “Primitive Mysteries” in which she danced the lead role. While at CWRU, Ms. Potter has been awarded numerous W.P. Jones Presidential Grants and a Baker-Nord Grant. She choreographs and serves as a regisseur regularly for the Mather Dance Ensemble, designs and constructs costumes for the various dance productions, and serves as an advisor for many undergraduate dance clubs. Ms. Potter maintains an active role in several professional organizations. She served as the Chair of Education Committee for the International Association for Dance Medicine and Science (IADMS) for three years organizing “A Day for Teachers” in Stockholm, Switzerland, West Palm Beach, Florida and Canberra, Australia. She co-authored the Education Committee’s Resource Paper on Screening and was the primary author on “The Implementation of a Start-Up Screen” for the spring 2011 Teachers’ Bulletin. She has presented or moderated at the IADMS conferences annually since 2003 and as a leader in screening and educational modules, she has helped set up dance wellness programs and/or trained faculty at Ohio State University, Texas A & M University, Western Michigan University, Montclair State University, Muhlenberg College, Goucher College, and Northwest Vista Community College. Ms. Potter was an invited speaker at the Performing Arts Medicine Association (PAMA) annual meeting in Snow Mass, Colorado in July of 2010 and also presented at the first two International Conferences on New Directions in the Humanities in Rhodes, Greece and Prato, Italy. She has served on the boards of OhioDance and Union Street Dance in New York and was a founding member of Dance Umbrella of Austin, Texas. She attends annual conferences of the National Association of Schools of Dance. Ms. Potter holds a Master of Fine Arts from CWRU, an MA from Sam Houston State University and a BA in teaching from Sam Houston State University.